This is an essay I wrote a couple of years ago for a book that was to be a collection of essays by a number of different people in the street art world, but the final product has not yet materialized, so I’m posting the piece here instead. Good subcultures get co-opted by the mainstream. That’s what happens. Punks and preps, hippies and hipsters, gangsters and geeks have all had parts of their cultures brought into the mainstream, and that attention usually harms the actual subculture. Sometimes it can feel like street art is getting taken over the mainstream more and more every day. Plenty of people have told me that Vandalog contributes to that co-opting of the culture. 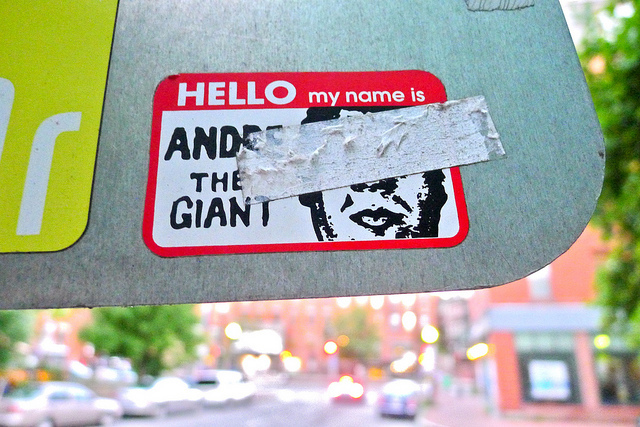 The most obvious examples naturally also tend to be the most popular names in street art: Banksy and Shepard Fairey. These guys used to be the torchbearers of street art, but their newfound fame as household names has come at a price: they certainly aren’t the revolutionary artists they once were, and I would go so far as to say that in their outdoor work they are as much guerrilla marketers as they are artists. There’s plenty to say on that topic alone, but I won’t get into too much detail about the negative aspects of street art. I still have faith in the general movement of street art: Even as some artists “sell out,” it’s inevitable that street art as a whole will remain authentic, powerful and revolutionary for a long time to come. Anyone who has read Norman Mailer’s 1973 essay The Faith of Graffiti has probably had a good laugh at Mailer’s suggestion that graffiti was already dying out. Street Art, a book by Allan Schwartzman and published in 1985, makes a similar suggestion about street art. Looking through Street Art, you’ll see the work of early street artists like Jenny Holzer, John Fekner and Richard Hambleton as well as many other names that have mostly faded from the history of street art. Most of those artists no longer make street art. Of course, street art didn’t die out, and Schwartzman was far from the last person to write a book about it, but something special is definitely captured in Street Art: The first generation of modern street art. While most of that first generation has now moved on from street art into other mediums, they inspired future artists to start working outdoors. In the early to mid-90’s, artists like Phil Frost and Reminisce were members of a new generation doing work on the street. Frost doesn’t work outdoors anymore, and Reminisce only very rarely does. They and many (but of course not all) of their contemporaries have more or less moved on from their roots. Then in the 2000’s, new artists like Swoon and Leon Reid IV became involved in the movement with as much passion as previous generations. While both Swoon and Leon Reid IV are both still actively making work outdoors, they have somewhat moved away from street art’s anti-establishment roots: a good portion of their outdoor work is being done with permission and in cooperation with galleries, museums or arts organizations. Over the last few years, the internet has allowed street art to grow even further, and talented new artists from around the world are coming to light all the time. Artists like Roa and Escif were already well known among street art fans before they first painted outside of their home countries because people had seen their artwork online. That’s an oversimplified history, but hopefully it shows in a very general way that street art is always evolving. 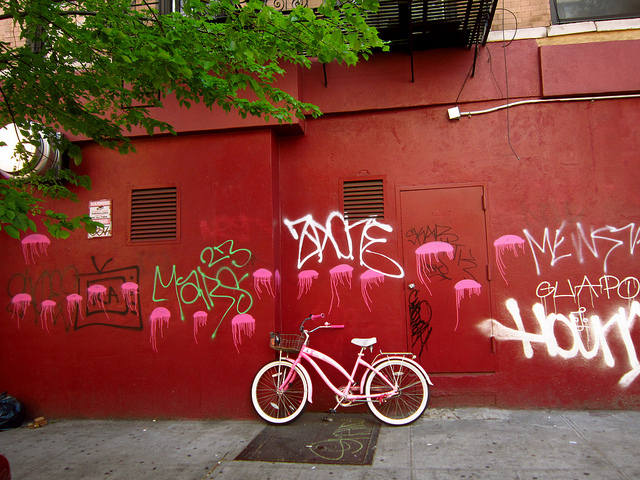 Since the 1970’s, the media has lost and gained interest in street art numerous times. Naysayers often suggest that the interest of media and the injection of money can only serve to destroy street art culture, but each time this cycle repeats, street art is reborn and brought back to its core values by a new generation of revolutionary artists. Even as the most world-famous street artists stop making street art, there’s always a talented and idealistic artist just starting out with a can of spray paint or a bucket of wheatpaste, working their way up from the bottom. Artists and even people who don’t consider themselves artists are interested in the opportunities that only street art can provide. Once the idea that street art exists is in somebody’s head, it can’t be taken away. Now that the idea of street art has become part of the collective mainstream public consciousness, it can’t be taken away from there either. Even as its general popularity may fluctuate, the idea of street art is always going to be resonating with somebody around the world, and that’s all it takes. People want to express themselves and communicate with the public, and there are few better ways to reach the public than street art. Street art doesn’t discriminate. A trained artist in a studio with dozens of brilliant assistants can make street art, but so can a teenager with nothing more than a permanent marker and an idea. Practically any wall is an equally valid place for a piece of work for drunken men to piss on or for kids to be inspired by. Tags by The Jellyfish. Photo by bitchcakesny. The combination of almost no barrier to entry and the fantastic power wielded by street artists, a combination unrivaled by any other art form, is why the underground nature of street art will always triumph over any push to make the genre truly mainstream. It just takes one person with a crazy idea to shift the culture in a new direction, and there are thousands of those people out there trying out crazy ideas every day. You can’t make a culture mainstream if the thing is constantly changing, you can only make out-of-date segments of the culture mainstream. 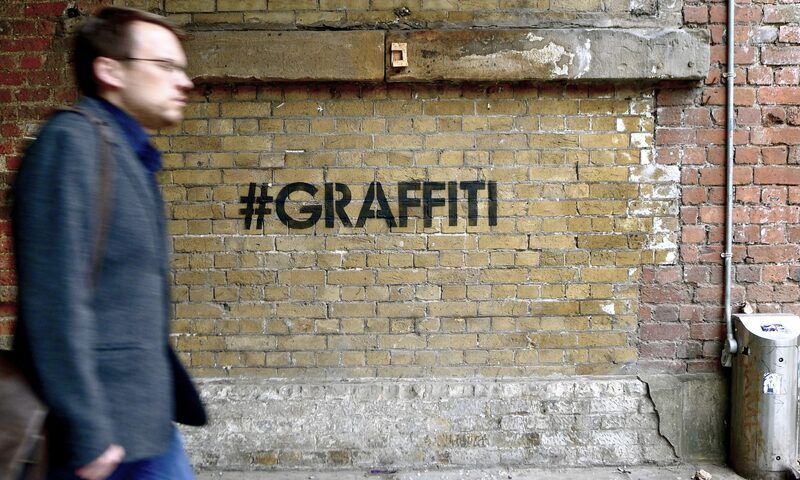 And does it really matter if one segment of street art becomes mainstream? The fact that you can buy an OBEY shirt in a department store doesn’t diminish the power that street art has in giving a voice to any person who has something to say, and it doesn’t make it any harder to pick up a can of spray paint for the first time. Street art is a great way to buck the system, especially if that system is the street art establishment itself. For the last three decades in particular, working outdoors without permission has fascinated artists, and they keep finding ways to do it differently. During that time, stars have been born and many have faded away. Media and art-world interest has waxed and waned. In the end though, the mainstream popularity of street art doesn’t make much of a difference. Artists will always have the drive make street art and the public will always notice street art. That’s not going away. Even if it’s just one artist reaching one other person, street art can change the world. Of course, it’s never going to be just one artist. From here on out, it won’t be less than an ever-evolving army.